· Designer: The sofa was designed in 2000 by Francesco Binfare with a focus on anatomical engineering. · Age / usage frequency: condition of leather consistent with 10 years of use. Frame in excellent condition. · Fabrication: Patented design mechanics. Genuine white ostrich leather, a by-product of South African birds farmed for their meat and feathers. The hides used can be up to 16 square feet in size ! Chromed steel frame and legs. Breathable polyurethane inners. 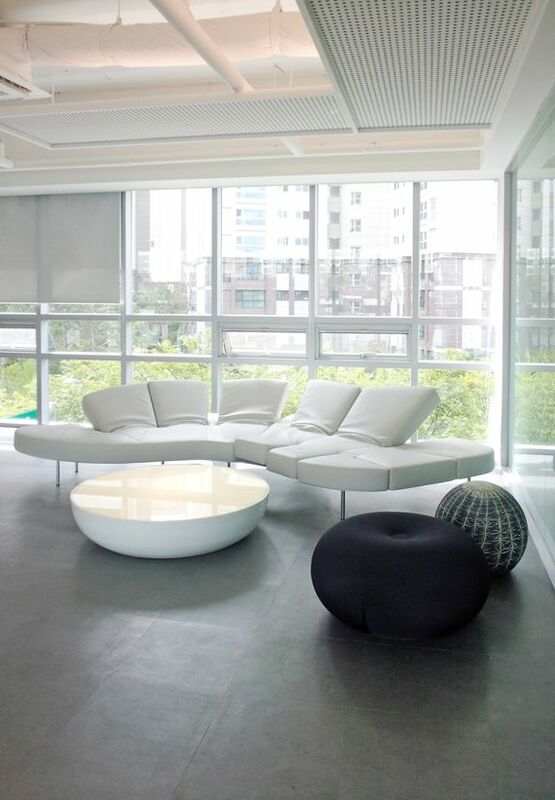 · DC Styling: ‘Versace style’ for your ‘Milanese style’ apartment or ‘Miami white’ beach house. A sofa guaranteed to garner attention and get your guests talking.